THIS past autumn I was caught speeding. There were a number of reasons why this came about, but there was one main one which stands out from the rest… I was driving too fast writes Jim Masson. It was a fair cop. In a 30 mph zone I was doing 38 mph. Previously I would never have considered this like many of us to be a big deal, but after taking the AA DriveTech as a re-educational option to prosecution in the court, I have found the folly of my ways which I want to share with you all. When I was caught speeding it was the evening, it was dark the road was quiet with almost no traffic around, the road conditions were clear, and I was tired after a days work. And there was one other significant factor. My seat was badly adjusted and I could not see the top of my speedometer clearly. All of this contributed to me taking part in the four hour course held in the luxurious surroundings of the Stormont Hotel with around 27 other speeders. The 4-hour, interactive road safety presentation was a real eye opener. It was as good a model of positive reinforcement as I’ve seen, as opposed to having to pay a court fine, suffer penalty points and paying a solicitor. But, it could all have been a helluva lot worse. The amazing statistic of the session that leapt out at me made me realise we do not live in a box filled with cotton wool. Statistically there is a 651 to 1 chance of any one of us being involved in a serious vehicle accident in our lifetime. Those odds are quite scary. Despite the huge collection of fines against speeding drivers, the TV road education campaign runs at a £500,000 loss. This includes the support to school visits. A number of agencies such as the PSNI, NIO, DOE, DRD, DHSS, NICS, the AA and ROSPA, are all involved in this process waging war on the toll of deaths and injuries on our roads. Incredibly, in 2010, in the months of February and April, there were no deaths on the roads in Northern Ireland… the first time since records began in 1931. In 2002 there were 153 killed with 1635 seriously injured. In 2011, there were 59 killed and 825 seriously injured. These figures show that the education campaign is working and that drivers are taking heed. But I learned today that 55% of drivers speed on motorways, 54% speed on dual carriageways and 10% speed on rural single roads. Check out the AA website for a down loadable free Highway Code. Surprisingly it takes 3/4 of a second to assess a driving danger and a half second to react. So, almost 1 1/2 seconds passes before we can brake when we see a pedestrian in front of us. The reality is that if you drive at for example at 39mph in a 30mph zone, you will require 8 metres extra to stop. To hit a pedestrian at 30mph there is a 90% chance of their survival or you may say a 10% kill rate. But driving at 40mph almist certainly 90% of accidents will be fatal. So the lesson is simple… a relatively small change in your speed could save lives. Less speed could save your life. Speeding therefore has its down side. Apart from the potential for the loss of life and serious accident, it can lead to loss of driving license, increased insurance costs, penalty points, and even loss of one’s employment or serious business disruption in some cases. It will certainly lead to a huge loss of social enjoyment. The re-education session covered a number of driving scenarios aimed at making the participants more road aware. They certainly need to be more self aware. Reasons for speeding were examined in detail and they included a long list such as: being in a hurry, being late, lack of concentration, tiredness, emotionally out of sorts, listening to fast beat music, going with the fast traffic flow, racing ‘red mist’, and even being caught during a new car test drive. And not noticing the road signs and traffic lines also is a contributing factor along with under-estimating a vehicle’s capability and misjudging in overtaking. Certainly many taking part on the course could not recall important road signs or markings. Amazingly the average journey in the UK is only 7 minutes and many accidents happen close to home. The very first road fatality in the UK happened in 1896 at Crystal Palace and the car was travelling at 4mph. Yes, 4mph. By 1936 in the UK, road deaths had spiraled to 7500 a year. By the end of the 4-hour session, my brain was throbbing with facts and figures and information… information that may save me or someone else from fatal or serious injury. It was an intense session, and one designed to make sure that you or your loved ones don’t get that unwantedd knock on the door from the PSNI bringing bad news. Driving now will be safer, and a lot more enjoyable. And with my foot off the pedal a little, there will also be a significant fuel saving. 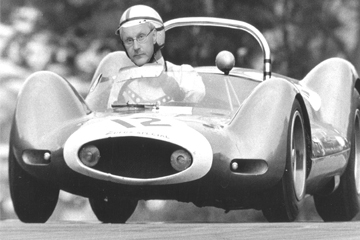 So, my £86 fee for the course will in time be recouped through better driving habits. I do not recommend speeding and getting caught to get on this course! You can read up and improve your driving skills and awareness by logging onto the following websites. 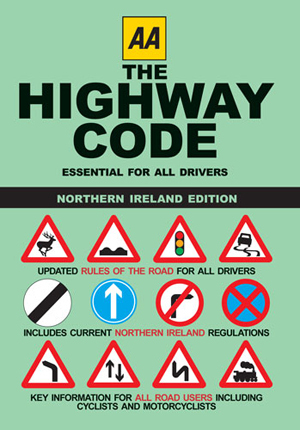 And the AA provide a free, downloadable copy of the Highway Code on their website. Happy and Safe Driving for 2013!